Find video in seconds not hours! 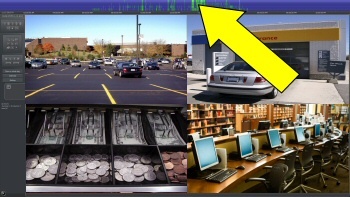 Even though security cameras are recorded digitally, unfortunately with most systems it is very difficult to find the video you want to see. You are often stuck fast forwarding through hours or days of video hoping not to blink at the wrong time. Our AVM system fixes that problem, by allowing you to scan through days, weeks or months of video visually at your own pace in a matter of seconds. 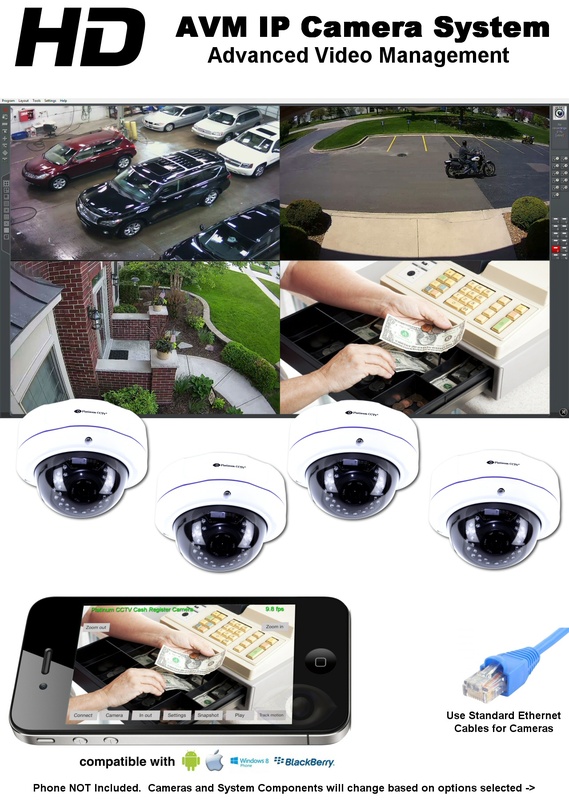 This access to your video makes it much more useful than previous systems, so that your security camera system becomes a house or business management system instead. See everything that happened during the day without wasting a day to do it! Our company was founded on the principle that video should be accessible from wherever you are at any time. This is why even 15 years ago, we were distributing systems that allowed access right from a cell phone (even a flip phone). We have kept that access to video for all of our systems from that point forward, and as new iPhone and Android phones were released, we made sure our clients would be able to continue to enjoy their cameras with new features and functions. Today, we have some of the most evolved applications for your phones, to ensure that you have real-time access to your video from anywhere. 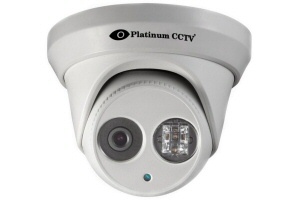 Our 1080P line of HD IP cameras is well suited for any installation both home and business. This series of camera may be our budget line of cameras, but that doesnt mean that we reduce the quality or features. These cameras deliver 1920x1080 resolution video at up to 30 frames per second for crisp, clean and clear video. 1080P is a great resolution for the majority of your camera installations, for smaller rooms or closer distances in parking lots, allowing you to record in HD video. 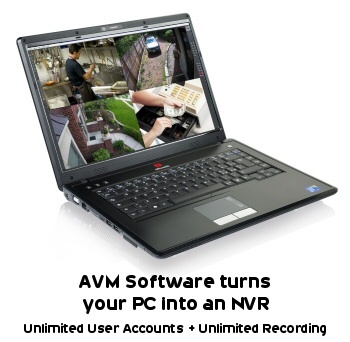 Our AVM camera systems are recommended not only for the features they bring to the table, but also their versatility. 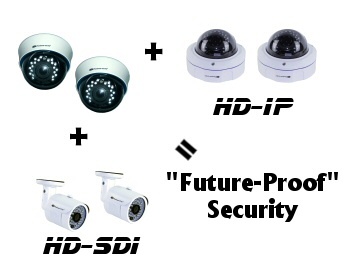 Using this same platform, our customers can employ analog, HD-SDI and HD-IP cameras in the same recorder, using the same great features and functions. Our IP style systems are highly recommended for new camera installations, as they provide great quality video and are easiest to expand. 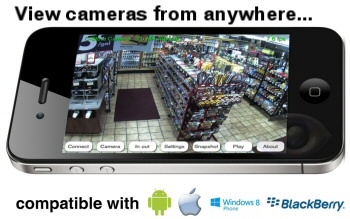 We can remotely add IP camera licenses at any time over the internet, allowing you to grow your system as you need. 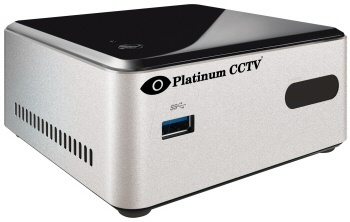 Keep your Network and Cameras Secure. 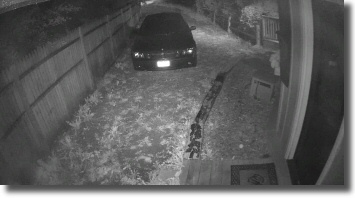 Today, hacked security cameras are in the news constantly. This is one of the major reasons that embedded NVRs and DVRs are not a great option. 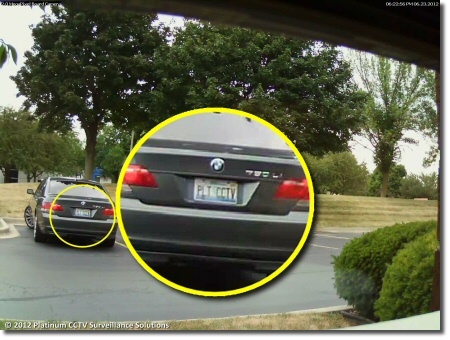 Once your DVR or NVR is hacked, it isn't just the camera feeds that can be accessed, but rather it gives a portal, allowing the hacker access to your network, to steal financial information, emails, transactions and much more. 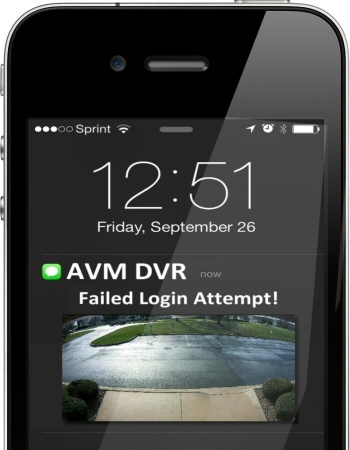 Our AVM system does not use the insecure P2P (cloud) method of remote connection, keeping your network and cameras secure. This is also the only type of system we recommend for enterprise systems, as it is fully compatible with your VLANs, VPNs or other encryption setups in order to maintain PCI compliance and keep your data and network secure. 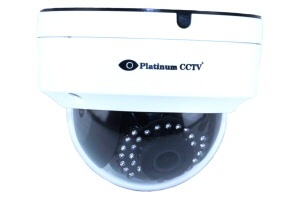 All of the 1080P cameras included in this package have IR LEDs that illuminate the area in front of the cameras with infrared light. This means that your cameras will allow you to see even when the naked eye cannot. 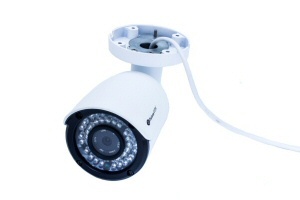 Each camera has a maximum distance for IR light, which determines how far the camera can effectively see in the dark. Each of our cameras includes our 7th generation video processor chips, which have wide dynamic range, to ensure a nice clean/smooth picture by brightening up the darker areas of view automatically. Make your business or home work for you with our AVM alarm integration optional input/output controller. This system allows you to connect individual sensors (door, window, motion, freeze, water, etc) or integrate with your alarm system. This can allow you to arm/disarm your alarm and receive alerts when something happens via text message or email alerts. 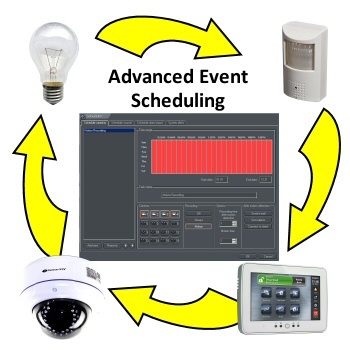 The AVM system has a scheduling engine that allows better scheduling and control of inputs and outputs than many home automation controllers. Our optional POS integration module connects to your POS terminal printer to capture transaction information, allowing you to store data about the transactions along with your video, which means that you can even call up video based on the transaction information. This gives an even better source of data about what is happening at your business.